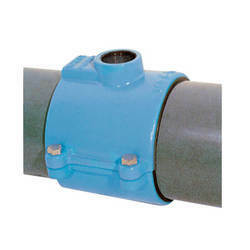 Poly Pipe Irrigation Saddles are customized as per the specifications of our clients, our range of irrigation fittings, service saddles, PP saddles, irrigation saddles is in wide demand across the globe. Procured from some of the renowned names across the globe, these are offered at industry leading prices. Confirming with various international quality standards, our wide range of PP Saddles is in wide demand in the global market. These are customized as per the specifications of our clients. The offered range is manufactured using top-notch grade polypropylene material and modern technical knowledge in compliance with international standards. These products are used to connect branch of HDPE/MDPE/PP/PVC pipes in house, industries and other related options, which are customized as per the need of our prestigious patrons. Branch Connections for HDPE / MDPE / PP / PVC Pipes in Irrigation, Industries, House Service Connections etc. Note : Refer PDF attached for technical specifications & complete features. We are providing our esteemed clients a wide range of PP Service Saddle that is used to join irrigation HDPE Pipes. 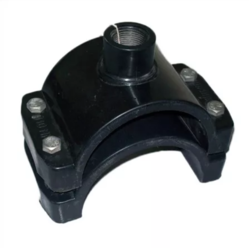 This saddle is found wide usage in applications like branch connections for HDPE / MDPE / PP / PVC pipes in irrigation, industries, and house service connections. The offered range is broadly demanded to connect the branches of MDPE, HDPE, PP and PVC pipes. 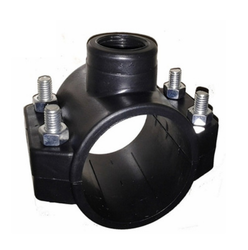 We manufacture PP Irrigation Saddles for agriculture irrigation purposes. These saddles are used to join irrigation HDPE Pipes. These are made of high quality plastic material which resistant to weather change. Using cutting-edge technology and supreme quality material, this saddle is manufactured by our adroit professionals in adherence with set industrial norms. This saddle is rigorously tested on different parameters in order to ensure its quality. PP Saddle with brass insert is manufactured using virgin quality of poly propylene material, These Service Saddles are used in branch connections for HDPE/MDPE/PP/PVC pipes in Irrigation, Industries, House service connections, etc. This PP Service Saddle is precisely manufactured using supreme class material and cutting-edge technology. The offered PP Service Saddle is available in varied sizes and can also be customized as per the requirements of the clients. We provide this saddle at highly competitive price to the clients.